If you are someone who loves to around with your website design, you might have experienced a typical problem with purchased themes. A few developers give all new files for a theme which has been recently updated. This means that if you do not have any backup of the old theme and you update it with the new one, you lose ALL the changes that you made in the old theme. To solve this problem, WP Separate CSS allows you to create a separate .css file and then it can be added to the CSS output of the theme. What you need to do is just upload the program and create a .css file in the Plug-ins folder, followed by editing that .css file instead of the typical style .css and other files. Now save the file and the changes will be seen along with the templates’ .css files. 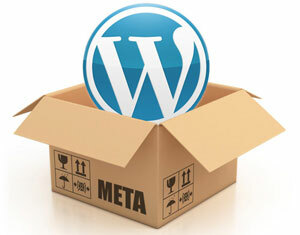 If you want to add a few custom field options to only a few specific sections of your posts and not to each and every post, then the plugin – WP Put the Meta is the one to look out for. It’s a valuable addition to a blog which wants to show content that is nicely formatted. First install the plugin, then create a custom field and put this shortcode in the post- [putthemeta key=””]. Put the name of the custom field inside the quotation marks. It’s a nice way to insert information about the co-author and the highlight iframe or any other type of information which needs HTML coding. 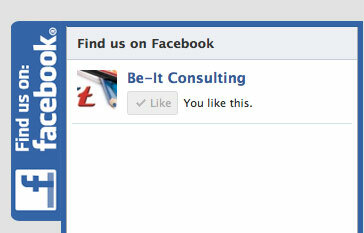 It is a fabulous way to display a “Follow Us on Facebook” link along with your post. This will enable the users to know that you have a Facebook fan page for the website and they won’t see any private info such as the facebook stream and followers unless the click on the tab. On clicking the tab, you will be redirected to the Facebook fan page stream. Sometimes, it’s really necessary to use a rather modern and unconventional font to enhance your blog. Google Web Fonts for WordPress is a latest plugin which exactly does that. First enable this plugin through your WP backend from- Appearance tab -> Font menu. In Fonts menu, you will be able to view a dropdown list of the fonts available. Select one and then save it. You can visit the Google Web Font Directory and preview the fonts before using them. Once you choose a font, just add the properties code to the theme stylesheet. The URL for User registration of WordPress is: “http://website-url/wp-login.php?action=register”. But an issue with this registration is that spam bots can register on your blog and this can cause fake accounts to throw off your registered user account. You can turn off user registration, but it won’t help if you use a WP forum plugin or the users need to register before leaving comments. With the help of Customer Registration Link, users can have the choice to change the location of register links to anything they like. Nice post; these look like very useful plugins. I have messed around with Google Web Fonts manually before, and it was a bit of a pain. Will give this one a try for sure. Those are some good and useful plugins. The “WP Put the Meta” plugins to me would probably be the most useful, mainly because I like to use custom fields once in a while, and including them in a post can be a pain.